Kao Kuat [口訣] Means Word of Wisdom that was transmitted verbally from Master to disciples. "Qi can be felt as Air inside a rubber Ball"
You've seen how the Ip man movie have sparks the growth of Wing Chun worldwide. 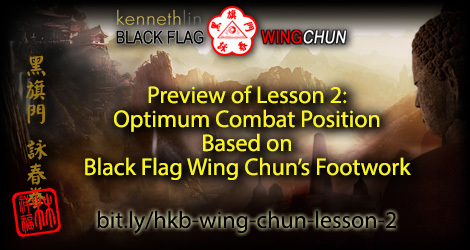 Now learn how to use Wing Chun footwork and body position optimally using Hek Ki Boen Eng Chun [Black Flag Wing Chun] combat principle to achieve maximum efficiency of time, space and energy. In this video, Grand Master Kenneth Lin demonstrates how to use the proper Wing Chun Body Position to maintain the maximum combat efficiency using the basic Wing Chun footwork [Im Siam], Tiu Jiu[Wing Chun Tan Sao] Hand technique in Occupying time, becoming space and releasing an impulse energy. Many times, in most Wing Chun mainstream lineage, focusing using offense as defense. In this video, Grand Master Kenneth Lin demonstrated how to have the MOST OPTIMUM body position on applying that offense as defense idea. 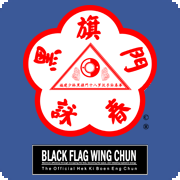 Black Flag Wing Chun training methodology makes it possible for you to use Wing Chun in full contact vs. Systema, vs. Taichi, vs. Taekwondo, vs. Kenpo, vs. Ninjutsu, vs. BJJ, vs. Muay Thai, vs. karate, vs. boxing, vs. any styles! Available in USA [California & Virginia], UK [Devon], Germany [Saarbrucken], Italy [Roma, Genova, Savona, Livorno, Torino, Novara] and HKB Wing Chun online university. "Reserve the Qi inside the bones and the bones marrow"
Huo Yuan Jia’s idea of reviving the old Traditional Chinese Martial Arts is my inspiration…. In Fujian dialect, the common majority of Chinese dialect used in Southeast Asia, he is known as Ho Goan Ka [Huo Yuan Jia]. 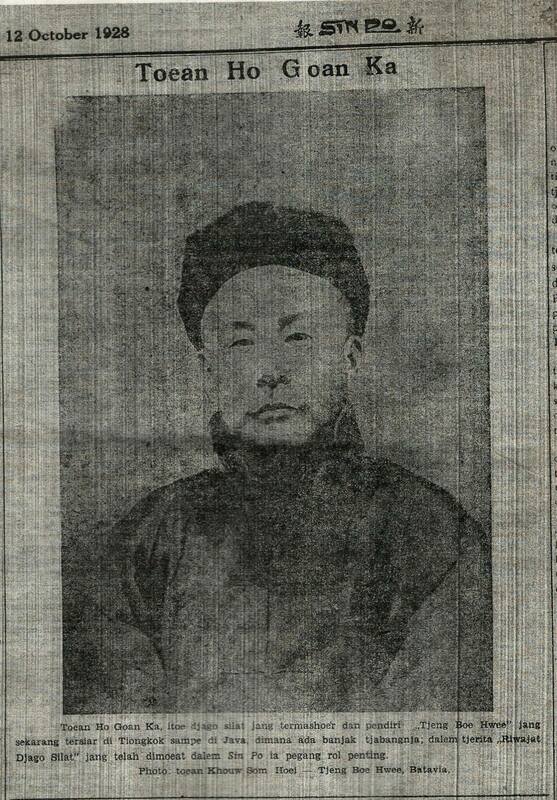 The founder of Chin Woo Association, known as Tjeng Boe Hwee in Fujian dialect, where the word of Kuntao was used to describe Chinese Martial Arts, decades before the term of Kungfu was popularized by Bruce Lee. Ho Goan Ka [Huo Yuan Jia] is the person who inspired me behind the establishment of Hek Ki Boen Eng Chun [Black Flag Wing Chun). His work of preserving, researching, reviving many conservative traditional Chinese Kuntao [Kungfu] and advance it into progressive traditional Chinese Kungfu really was the seed of my inspiration. My Grand Master [Sukong] Kwee King Yang had 8 master before meeting his last teacher, Tjia Fun Tjiao, the last chief instructor of Black Flag Lodge who fled to Indonesia. What amazed me about the teaching of Late GM Kwee King Yang was the depth of Tjia Fun Tjiao's Black Flag practical combat efficiency that contain the essence of Fujian Shaolin Everlasting Hall [Eng Chun Tim]. 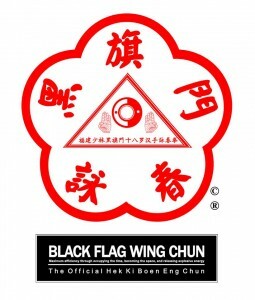 I am in the process finishing my complete article on how Ho Goan Ka's life inspired me to research all the teaching of Tjia Fun Tjiao's Black Flag system from many of GM Kwee King Yang's Students and revive the closest of the original teaching of Tjia Fun Tjiao, into today's Hek Ki Boen Eng Chun [Black Flag Wing Chun] teaching methodology. Nice Gift Exchange with our new friend. 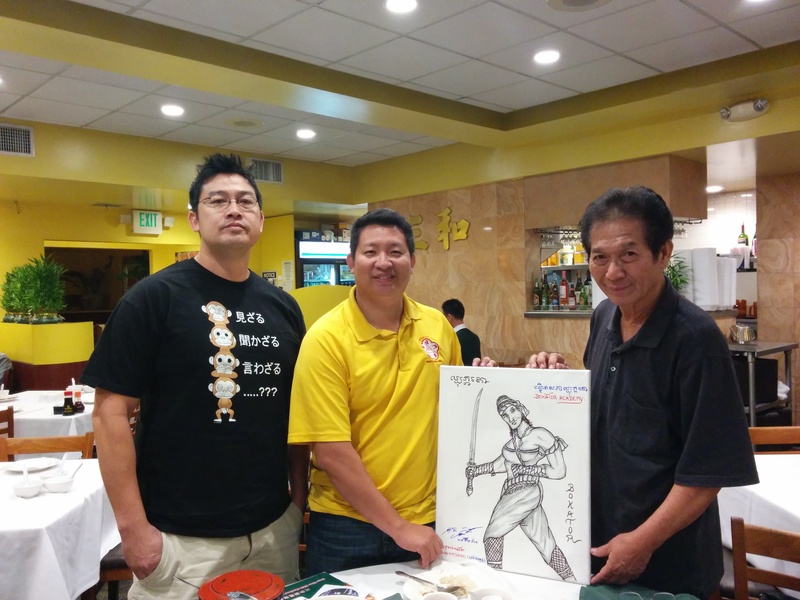 Grand Master Kenneth Lin Xiang Fuk of HKB Eng Chun, the Black Flag Wing Chun combat system and Grand Master San Kim Sean of Bokator, the Ancient Khmer Combat system. The discussion between two big organization was made and it is confirmed now that HKB Wing Chun and Bokator will work on some projects together in the future! Future looks bright for both HKB Wing Chun and Bokator! 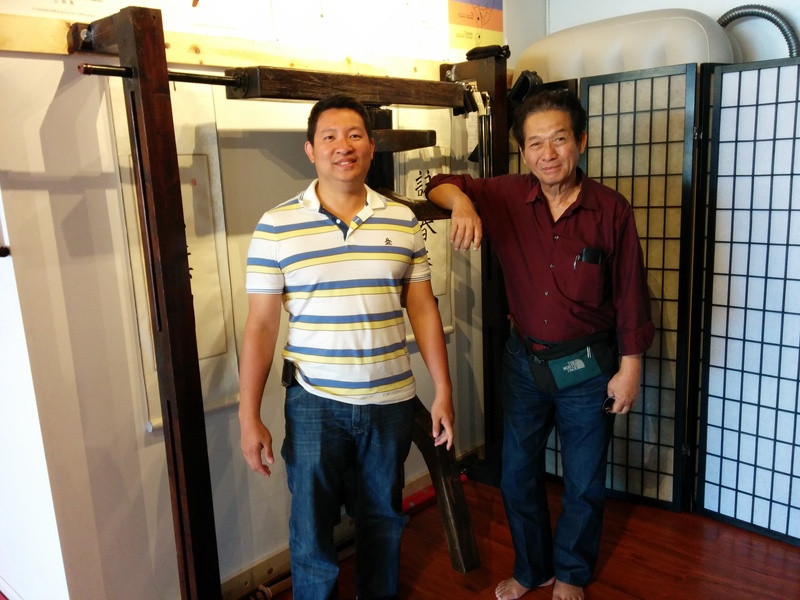 I had a great time meeting my new friend, GM San Kim Sean of Ancient Khmer Combat System; Bokator. "If a new player always being kicked out of the field, then the there will be anyone left in the field after sometime, it will be such a lonely world...Imagine you are playing a video game alone.....". This is why we should promote all martial arts in one unity with happiness, not hatred toward each other. Martial arts is not about promoting hatred or hurting this/that sifu/style, otherwise, the use of Gun would be much faster result for hurting. I am so glad that in the Wing Chun World, there are so many positive people who always speak positive about other styles and Sifu(s). 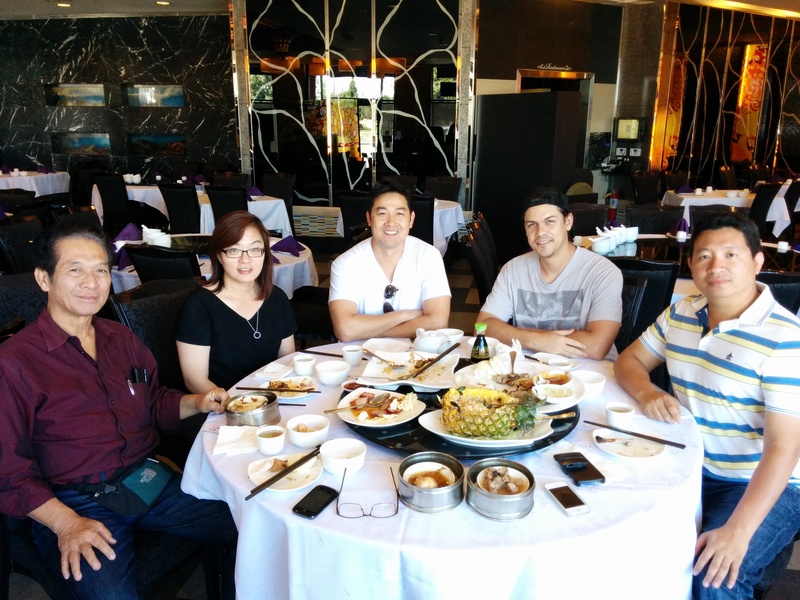 Even more than that, In Wing Chun World, we also have many Wing Chun researchers whose mission is to research and promote all lineages of Wing Chun as One Big Family not families. Martial Arts Certainly are not about families of superior/inferior, authentic/fake, more/less original, can/cannot fight of this or that. Official HKB Wing Chun International is so proud to be part of Wing Chun Family. I am so happy that all True HKB members always speak positive as part of their Wu De [Martial Arts Virtue], being demonstrated in daily life. Click LIKE if You Agree that we should Promote Martial Arts as one united family for Happier, Safer and Healthier LIFE & Positive Community! And Please SHARE this! "Qi will spread toward all body parts and organ, under the control of mind, feeling and spirit"
On May 12, 2014, we received a VIP guest, GM San Kim Sean from the ancient Cambodian Combat system; Bokator. Bokator is the art used by Tony Jaa in the movies called Ong Bak. We exchanged pointer and deeper concept of both art including the internal approach. It was a nice discussion to see where both of the arts share a very similar destination in the end. A follow up video will posted soon. HKB Eng Chun meets Bokator system! Received a nice visit from our close friend and ally, GM San Kim Sean, Successor of Ancient Cambodian Combat system; Bokator. We had long hours of discussion on many different topics from organization to combat strategy. 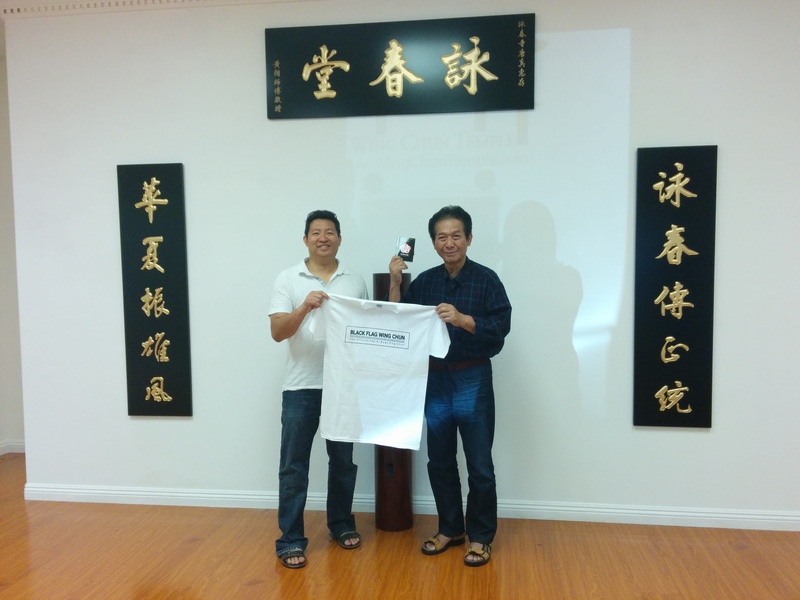 We had a nice exchanging few pointers on the deeper concept between HKB Eng Chun [Black Flag Wing Chun] and Bokator system. In case you don't know what is Bokator, is the Ancient Combat system that predates The ancient Muay Boran/Chaya which is the ancestor of today's Muay Thay system. We had planned to work on the several projects in the near future, including establishing a joint training camps between the two arts for thousands of our members worldwide and other projects as well. 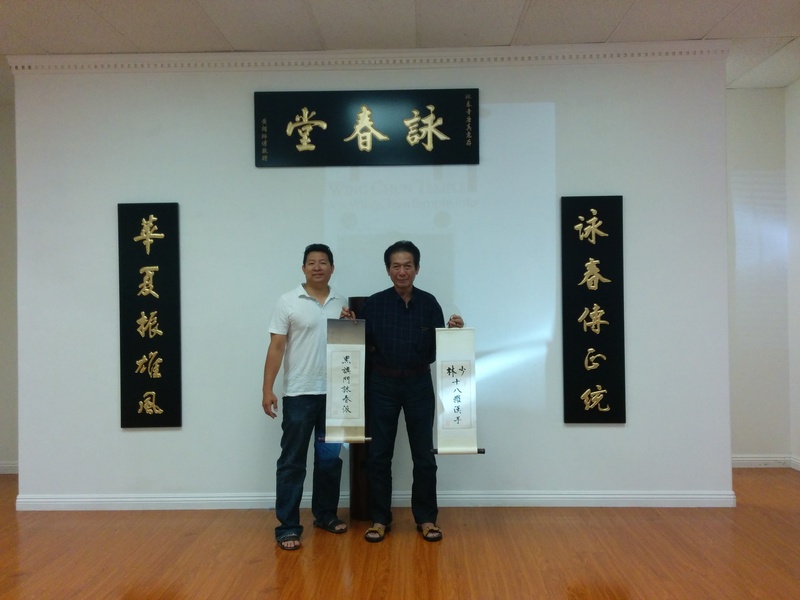 It was a pleasure and our honor to receive a visit from you GM San Kim Sean! Tomorrow I will be heading to Big Bear to conduct super extensive private training with several selected students, covering all advance materials within HKB Wing Chun. I can't wait to see the result how this weekend training will massively boost their combat skills.